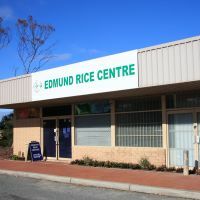 What is Edmund Rice Centre and what do we do? Many young people come to Edmund Rice Centre Mirrabooka with limited social skills, low self-esteem, and some have serious mental health issues like anxiety and depression. We provide on-going support to build trust and self-confidence, and help them develop their problem-solving, teamwork and anger-management skills. The Edmund Rice Centre Mirrabooka provides a range of pathways to encourage young people to aim high and achieve their goals. We celebrate one another's successes together! This year our government funding has been reduced significantly, and it will be cut by another third in 2017. We have 14 programs running every week and we have up to 1000 kids registered in our programs. That's why we need your help. Without a boost to funding we will struggle to provide enough youth and community workers to allow us to keep running all our programs. Our work is very labour intensive and if our young people are to exceed their own expectations we need more staff to mentor them. Every dollar counts, please help us help young people to reach their full potential. All Donation over $2 to Edmund Rice Centre Mirrabooka Inc are tax deductible. Receipt will be sent through email. Help the Edmund Rice Centre Mirrabooka support children and families from Refugee and Aboriginal backgrounds through sport, art and leadership programs. A virtual high five and a big shout out on our social media to thank you for your kindness. We will send an Edmund Rice Centre Mirrabooka supporter's magnet and a special thank you card from the team! We will send you a supporter's magnet and a DVD of our achievements. $1,000 Have a very happy Christmas! Join us for our end of the year Christmas party, where young people and their families will come together to reflect on the year and celebrate a Merry Christmas. Two places for you and a guest to join young people and their families over 3 days at our annual Harmony Camp.